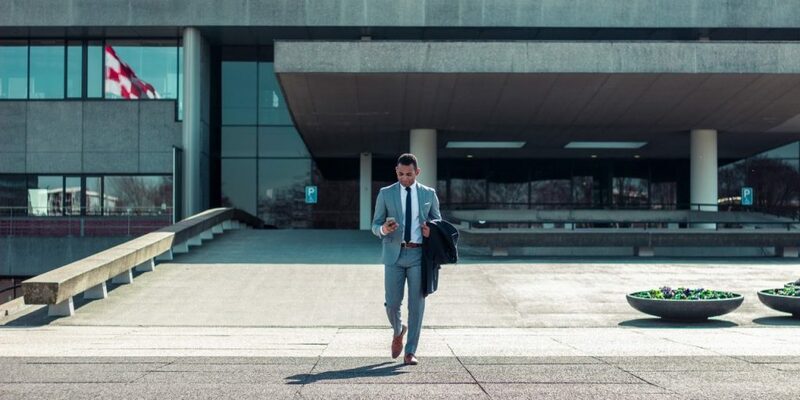 The private equity series is a collection of articles written by Quentin, movemeon member who moved from consulting to private equity through movemeon. When to look for the boarding gate? Many strategy consultants dream about one day joining a ‘private equity (or ‘PE’) fund’. Those three words seem to be surrounded by some form of magical aura magnified by the fact that, most often, consultants have a limited understanding of what the private equity world really entails. With approximately $800bn worth of transactions closed annually – the equivalent of 30% of the UK GDP –, private equity investments can actually take multiple forms. Listing those forms at a high-level is the aim of today’s post. A nascent (or even not born yet) company can solicit venture capital (‘VC’) or seedCompanies may exist solely on paper and are almost never profitable at this stage. Venture capitalists are here to assess the future perspectives of entrepreneurs’ business models and decide whether they are ready to bet by buying a stake – often a minority one. The chances of failure are very high but the rare successes generate extremely high returns. Successful VC firms distinguish themselves by having the flair to identify great ideas – which explains why former entrepreneurs are very much in demand – and the network to hear about promising opportunities before they attract too much publicity. Analytics and valuation skills are of little relevance given that a VC investment very often comes down to ‘all or nothing’. One of the most famous examples of successful ‘all’ investment is the 10% Facebook stake Accel Partners bought in 2005 for $12m. This share today is worth more than 2,800 times more. The fact that a company finally becomes profitable does not mean that it does not need further capital inflow. Managers may want to open new points of sale, enter new markets, enhance their IT systems, hire a new team etc. Revenue growth is the key area of focus. Banks may still be wary of lending too much and as a consequence existing shareholders may also turn to growth equity. Beyond money, these funds also provide expertise in business development and operations to ensure that internal processes are scaling up fast enough to support the expected development. Last but not least, growth funds leverage a network of senior advisors who can act as mentors and/or board members. Given the typical private equity investment timeframe (5 to 7 years), growth equity funds target fast-moving industries such as Technology or Biotech. TA Associates and Summit Partners are two famous growth funds. Once a company has matured and is able to generate steady cash flows, it starts attracting leveraged buy-outs (‘LBO’) funds. In fact, the general public often tends to restrict private equity to LBOs, which benefit from more media exposure. Indeed, LBO funds manage the vast majority of assets devoted to private equity. Each fund has a different area of focus, typically consisting of a mix of industry, geography, company size and degree of involvement. But all LBO funds always rely on significant amount of debts to put pressure on the teams and ultimately boost their equity returns. To do so, LBO funds will rely on a mix of revenue growth and operations improvement – including cost-cutting. In terms of company size and type of issue, this is probably the form of operational work closest to the one offered by external strategy consultants. Depending on the total size of the fund, LBO firms are divided between small-cap (roughly under $250m), mid-cap (from $250m to $2bn) and large-cap. In this segment, you will find many of the behemoths, such as KKR, Blackstone or Carlyle. Within LBOs, funds investing in infrastructure assets are often categorised separately – motorways and retail companies have little in common. Funds such as Ardian (formerly AXA Private Equity) and Macquarie have developed expertise in that area. Turnaround funds focus on companies in financial doldrums, either close to bankruptcy or even already under administration. Turnaround funds are very heavily involved and focus on renegotiating the financial structure of the portfolio company with existing creditors while fixing the company’s operations. Oaktree is probably the renowned. Last but not least, some funds do not stand on the front line and prefer to team up with existing funds instead. This is the case of funds of funds – private equity funds whose investments are stakes of other private equity funds – and co-investment funds – funds which will buy a minority stake alongside a larger private equity sponsor. Since they are not in direct contact with portfolio companies, professionals working within those funds rely less on their operational skills than their financial abilities to ensure that they choose the right partner. LBO funds can decide to invest part of their commitments as co-investors. The next post in this series will discuss the optimal timing for a strategy consultant to make a move to private equity. This timing partly depends on the type of fund that you are targeting. In the meantime, readers willing to discover more about the intricacies of private equity can have a look at Private equity demystified: An explanatory guide, written by John Gilligan and Mike Wright and freely available on the Institute of Chartered Accountants in England and Wales’ website. How powerful is the team you are joining?